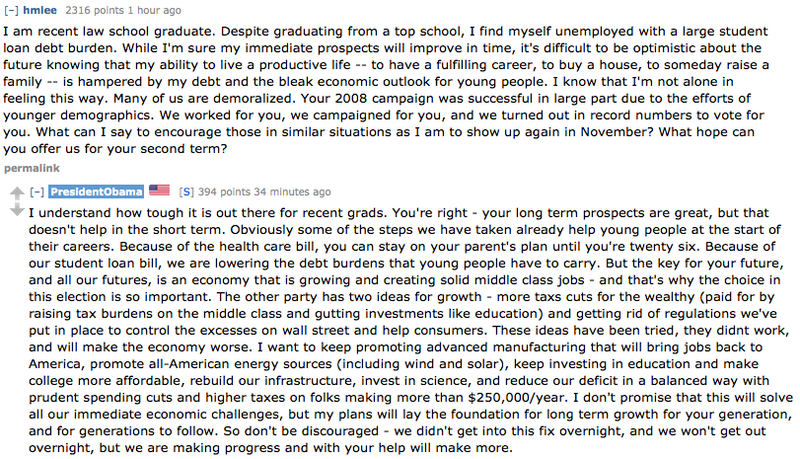 About an hour ago, Obama took time to do an AMA (ask me anything) on Reddit. Celebrities are doing more and more AMAs for the same reasons they might do Letterman or Conan. 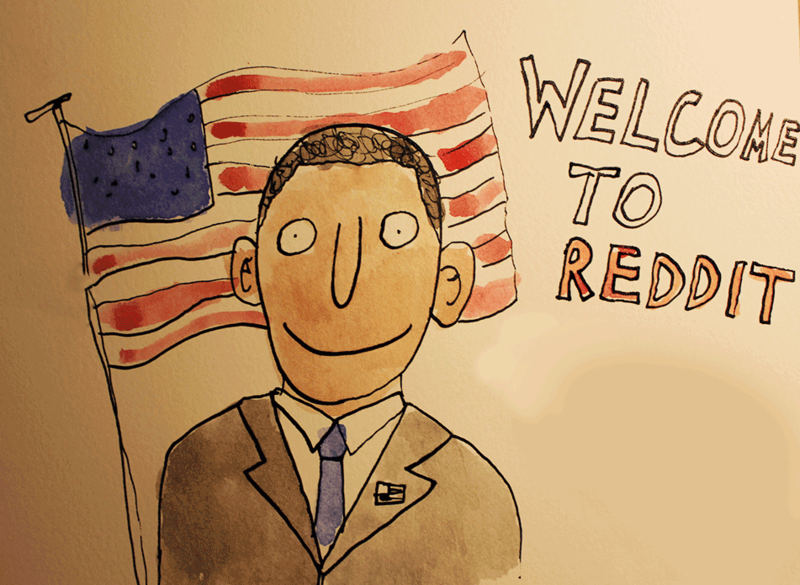 Publicity, specifically the digital savvy, young audience that Reddit claims. Here are the questions he decided to answer.